We are excited to include Bio-identical Hormone Replacement Therapy or BHRT with David Araya, MD and Stephanie Snowden, NP, BHRT and Aesthetic Practitioner. Each of the Bio-identical Hormone Replacement specialists undergoes a comprehensive regimen of clinical training and in-service medical research seminars, which uniquely qualifies them as being some of the leading practitioners in their field. BHRT refers to the therapeutic use of hormones that are identical in molecular structure to hormones produced naturally in the body. The Bio-identical Hormone Replacement Therapy program is designed with the intent of relieving the symptoms of hormone imbalances or deficiencies, while keeping each patient’s safety as the main priority. Today we’d like to introduce you to Emed Sidaros. Emed, can you briefly walk us through your story – how you started and how you got to where you are today. My ex-wife, Danielle Sidaros, and I started Mia La Maven in honor of our daughter, Mia Sidaros. Mia was diagnosed with a rare bone cancer at the age of 13. She fought very hard but four years later, on 5/2/15, she passed away at the age of 17. Mia was very into fashion and beauty. We wanted to keep her name and spirit alive and we really wanted to help in the fight against pediatric cancer. This is how Mia La Maven Med Spa was born. The spa donates a percentage of all proceeds to the research for pediatric sarcoma at uUCLA Not only do we want to be involved if trying to save children but also their families who this experience is devastating for. 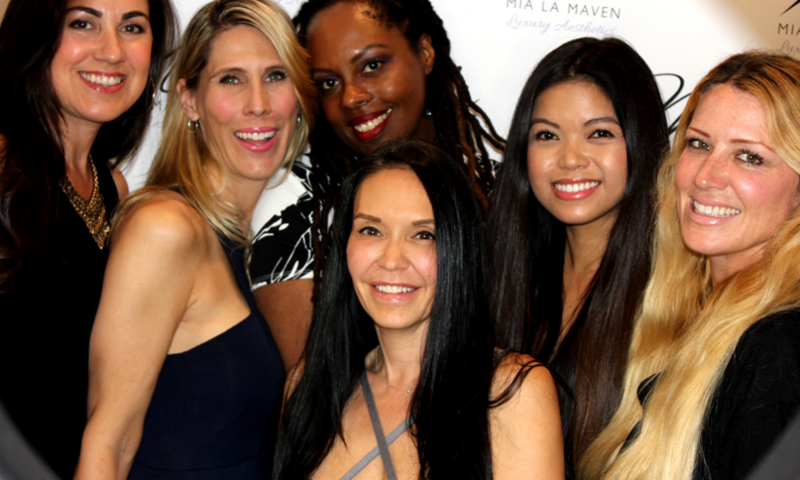 The road to opening Mia La Maven was work but actually came together smoothly. I believe, Mia, our angel above has had a hand in moving things along and making it happen! We get a lot of visitors to the 24th floor of the Hearst Tower—designers, photographers, the occasional supermodel—but I can’t recall more excitement surrounding a visit than when Mia Sidaros stopped by this month. Mia is a 15-year-old style maven from Los Angeles. By day, she’s a student, but she’s also a newly minted fashion blogger, who has just returned from the spring shows in Paris. The fact that Mia’s also a two-time cancer survivor is actually the last thing you would notice about her. She’s confident, bright, and energetic—and she talks a mile-a-minute about her plans for her career in fashion. She doesn’t miss a beat in reviewing the collections or recounting spring trends. She can’t name her favorite label (it changes daily), although Marc Jacobs, Balmain, and Saint Laurent top her list. This girl is serious about fashion. Late in her battle with a rare form of cancer, Mia Sidaros flew to New York for a photo shoot with Vogue magazine. The publication had connected with the fashion-forward teenager through her blog, and they wanted to meet her for a feature about women dealing with hair loss. Sidaros, who passed away about a week later at the age of 17, didn’t get much of a chance to stand out on her own following that East Coast trip. It’s partly why her parents are launching a business in Santa Monica in her honor, hoping it will keep her memory alive and perhaps prevent other children and families from having to endure similar tragedies.